New Mikesell’s Flavors +WIN A FREE CASE! Starting March 12th you will see 2 new flavors on the shelves from Mikesells. 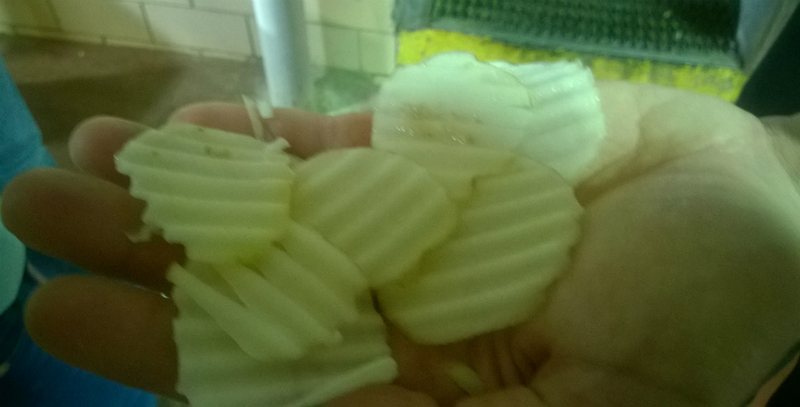 That is right the Mikesells Snack Food Company, your hometown Dayton made potato chip is done taste testing, and now they are producing. We think both new flavors show promise as being hits. We should know, we helped with the taste test study and these flavors topped the charts for us. So we feel like giving. ****WIN A FREE CASE OF THE NEW FLAVOR CHIPS**** more info below ! The new flavors are ………….. This one starts subtle then after about 6 chips you feel a slight tingle. Part sweet, part heat, all good. They are bagged in the Groovy style potato chip. These are a great new flavor. That slightly sour vinegar and the hint of salt makes this a timeless classic. These chips are the old-fashioned style and are crisp and hearty. An addicting snack that is lip smacking good. Mikesell’s is excited to announce these two new flavors that should be hitting your local grocery stores and convenience stores this month. These bold chips will be available for purchase online as well, through Mikesells.com Chipper Shipper. So be on the lookout starting March 12th, and support your hometown potato chip company. 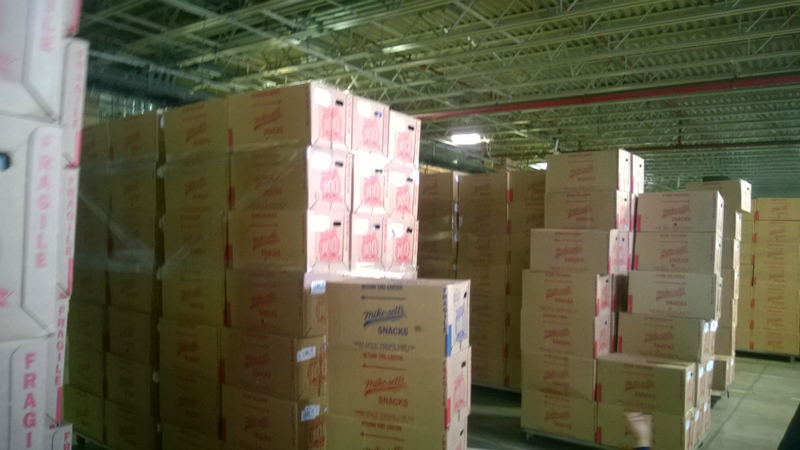 As many Daytonians know, Mikesell’s is the oldest continually run potato chip company in the United States. It is still family owned by the descendents of D.W. Mikesell, who started selling his potato chips in 1910. 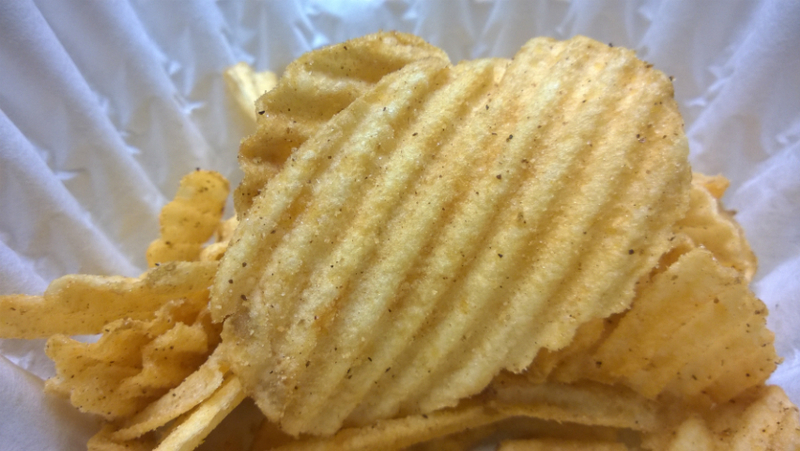 These high quality, great-tasting potato chips are a tradition in the Miami Valley. Pick some up ASAP ! We love them so much that we think you will love them too. 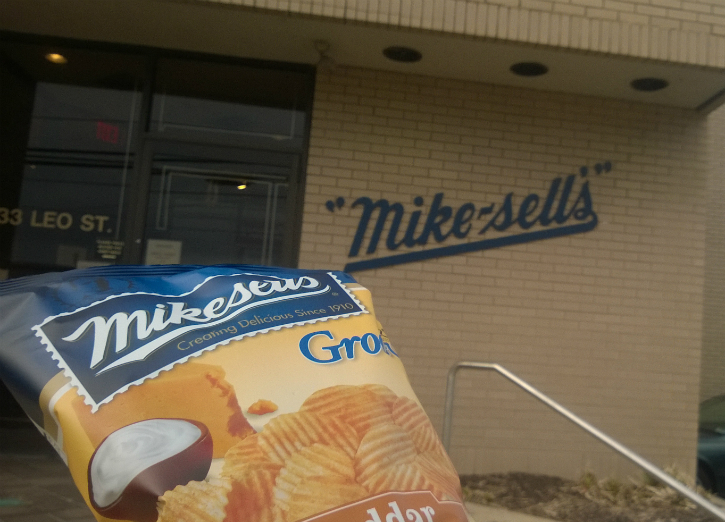 That’s why Food Adventures is giving away a CASE OF MIKESELLS CHIPS (split between the two new flavors). All you have to do to win is comment on the article below as to why you love Mikesells chips, and a winner will be chosen at random. Feel free to browse the gallery below of fun times and Mikesells Chips ! Himalayan Sea Salt and Vinegar chips ! Some of our favorite taste testers ! Soon to be a new favorite ! Inside the SPICY DILL PICKLE bag ! Talk about a Throwback Thursday announcement. 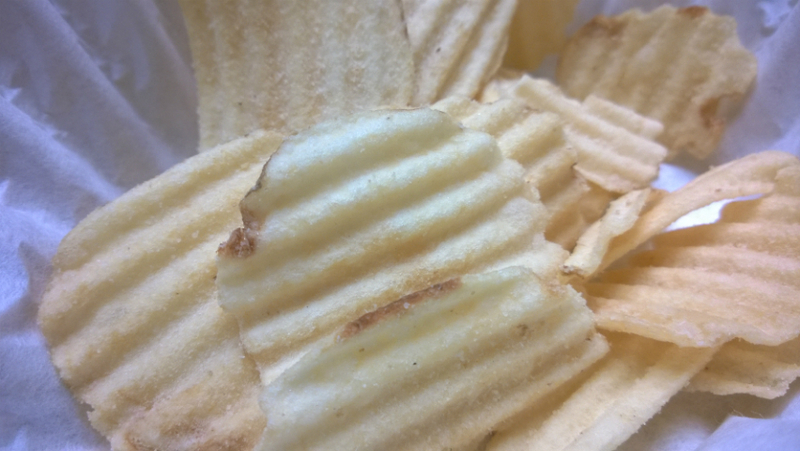 Food Adventures has seen the Facebook comments on Mikesell’s page, “I wish you still cooked your chips in Peanut Oil.” Well now, you can quit yer itchin, because our hometown favorite chip company has re-released Groovy Potato Chips cooked in 100% Peanut Oil. For those of you who love Mikesell’s products, this is one you will be glad they brought back. It is all in the taste. Oh yes, the taste is a throwback. This is the original DW Mikesell recipe you grew up with. 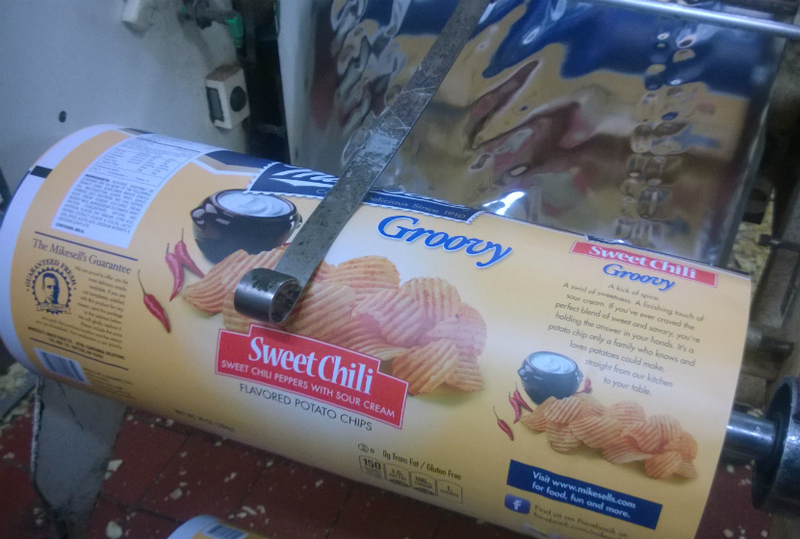 Of course the patented groovy design allows for great dipping and hearty party snacks. So for all you Mikesell purists, this chip is back for you ! Now in stores near you ! 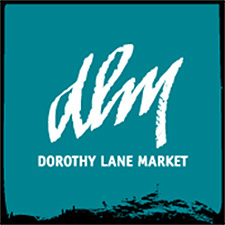 You can find them immediately in stores like Kroger, Dot’s and Dorothy Lane Market. You can even grab a bag at Speedway, Cassano’s and Marion’s. We got to sample a couple of the big bags. They were fresh and had that familiar Mikesells taste of yesteryear. At first we were skeptical, but you can definitely tell a difference. Afraid of a peanut allergy?? We have good news for you. The FDA exempts highly refined peanut oil from being labeled as an allergen. Studies show that most individuals with peanut allergy can safely eat peanut oil. Mother’s Day and Memorial Day parties would be a perfect time to break out these Groovy Peanut Oil chips and wow your guests and family. Always grab the big bag and support your local potato chip company. 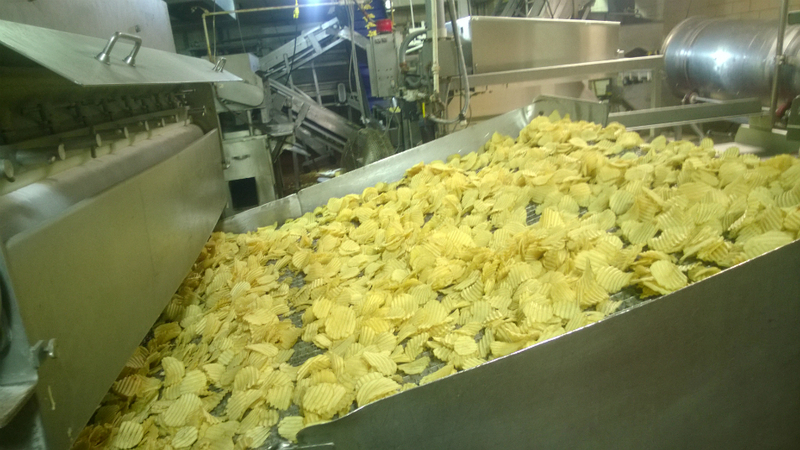 Mikesell’s is the oldest continually running potato chip company in the United States. We want them around for another couple of centuries. 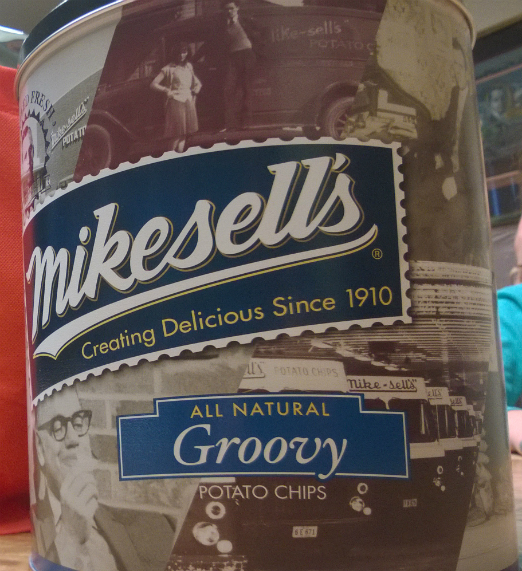 We hope you enjoy some snacking and dippin’ with Mikesell’s Groovy chips cooked in 100% Peanut Oil, real soon. Chef House, Luke Mapp-Mikesells VP, and Jax at the potato chip factory on Leo st.
Mikesell’s Ends 2016 with Two New Flavors ! Grab a handful of Mikesells new flavors !! Your hometown potato chip company has done it again. Oh, how we love Mikesell’s Snacks for any occasion. And now, they bring us a couple of new, terrific products that quite honestly are surprisingly good. 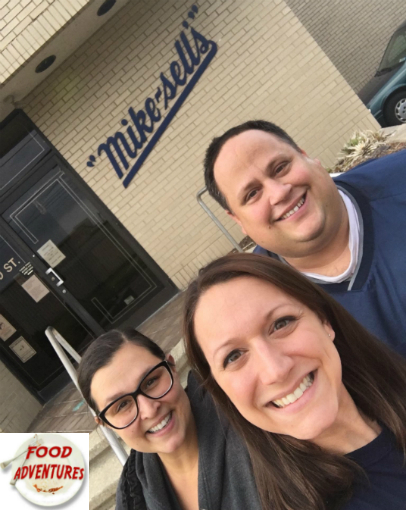 The Food Adventures Crew have been enjoying Mikesell’s brand snacks for as long as we can remember, especially Chef House and The Big Ragu. 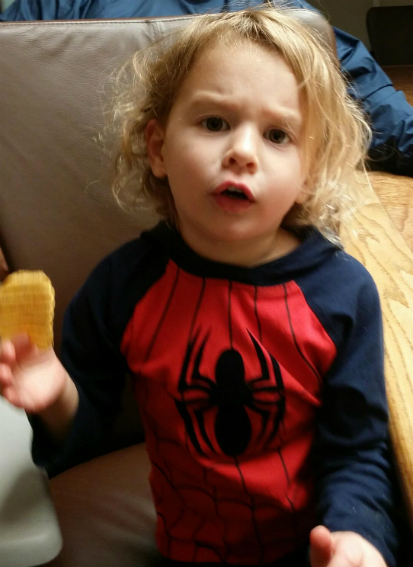 Even our New York girl, Hungry Jax and her family have been crunching away on her decade in Dayton on those groovy chips. We have been on tours of the plant. We have been lucky enough to be behind the scenes, at test taste meetings, and met the workers that make the magic possible. As we end 2016, Luke Mapp, VP of Marketing and his staff have come up with two winners. Seriously.. you gotta try these. 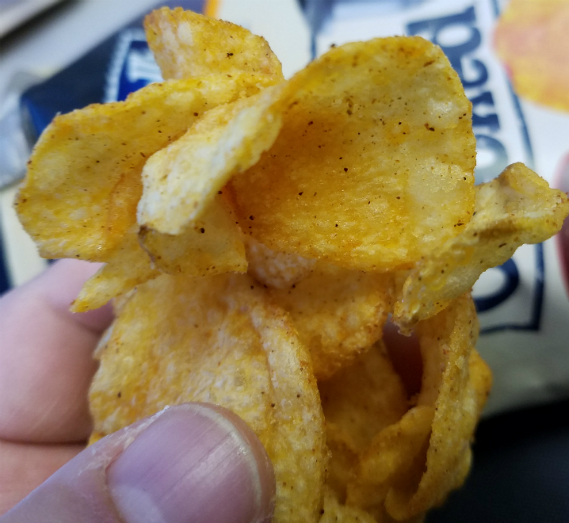 The new flavors are “NACHO CHEESE TORTILLA CHIPS” AND “TANGY CHIPOTLE BBQ KETTLE COOKED POTATO CHIPS.” They are 2 more reasons to reach for your local brand, when in the potato chip aisle. 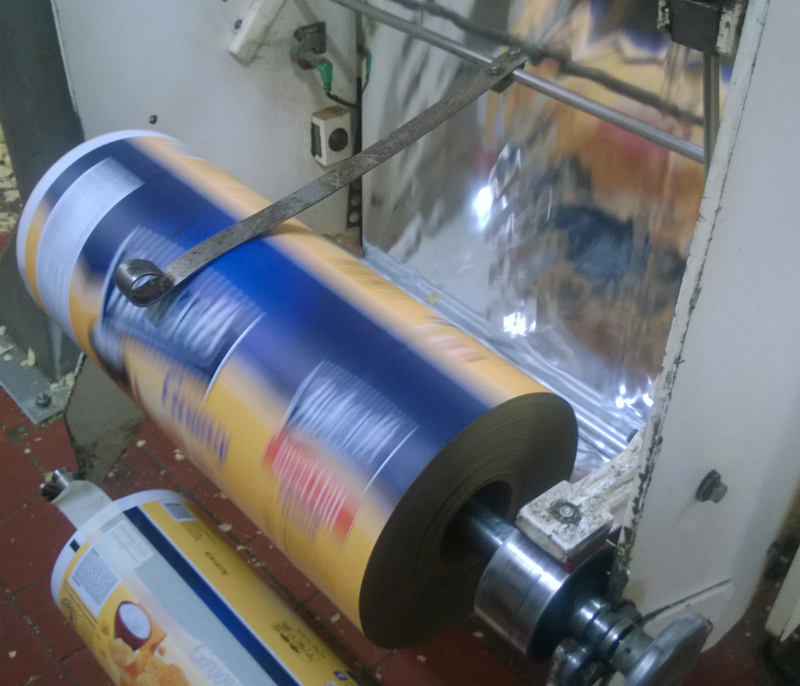 We give you Food Adventures take on these new “hot off the presses” flavors…. for half of your chip in the dip on this one. If you love Nacho Cheese Tortilla Chips and love dipping, this is the chip for you, hands down. 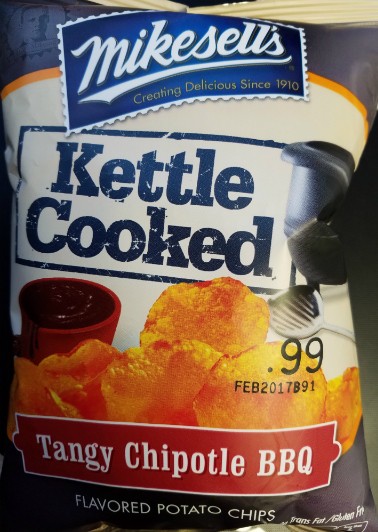 — TANGY CHIPOTLE BBQ KETTLE COOKED POTATO CHIPS: Wow, what a great flavor! 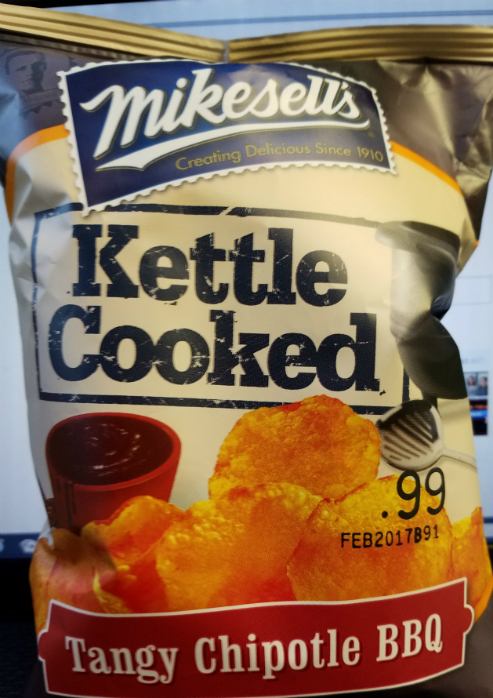 You get the patented Mikesell’s Kettle cooked crunch, and the sturdiness of a dipping chip that wont break either (we just talked about this didn’t we?). Maybe we are tortilla happy today, but this flavoring is faintly reminiscent of the old Taco Flavor of Doritos from the 70’s/80’s. It has that spin for sure. We are sure you are going to love this new flavor. In a world where people are trying to put biscuit and gravy flavor into chips, this is a refreshing innovation that actually works. It fits. The Tangy Chipotle BBQ flavor is great, and not a novelty. Kettle Cooked Tangy Chipotle BBQ ! *** HONORABLE MENTION: Back in March, Mikesell’s released another amazing treat that quickly became one of our faves. 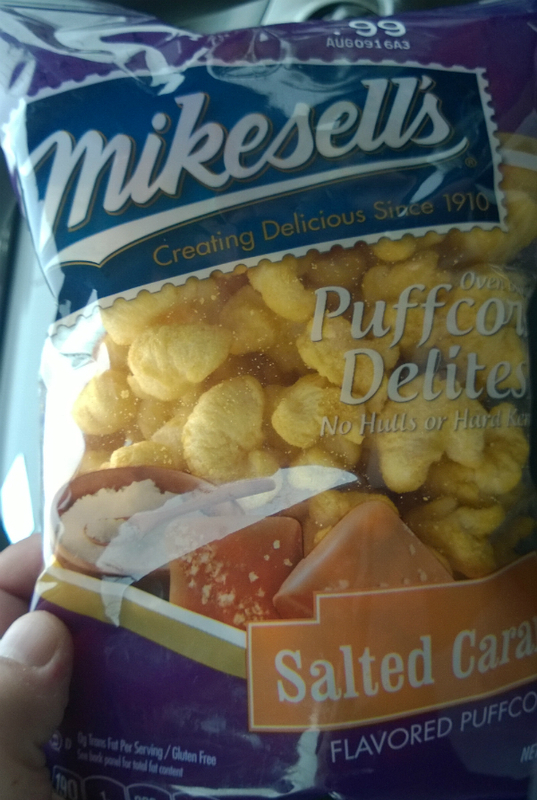 Salted Caramel Puffcorn Delites has been out for less than a year, and they are incredibly delicious and addicting. If you have not tried these yet, you won’t believe how good they taste. Well, now you have some ideas to fill the holiday snack bowls with this season. 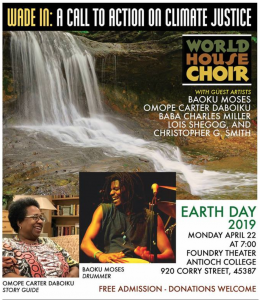 Do yourself and Dayton a favor. Reach for the local, good stuff. 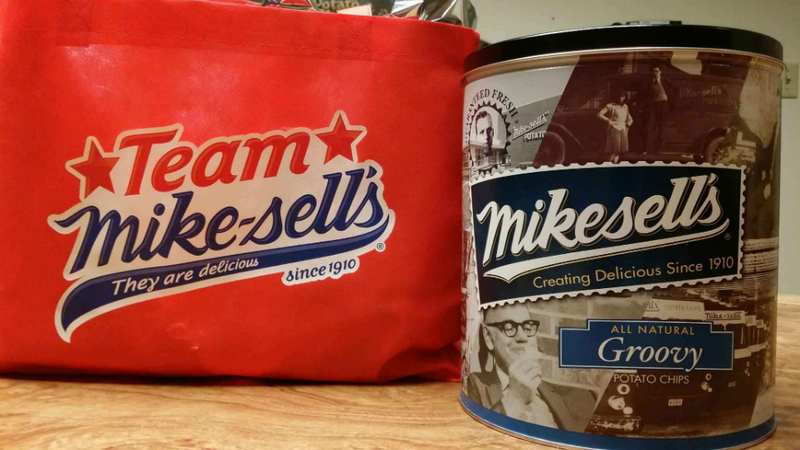 Continue to make Mikesell’s brand a part of your family parties. The whole “buy local” thing is never more true than here. 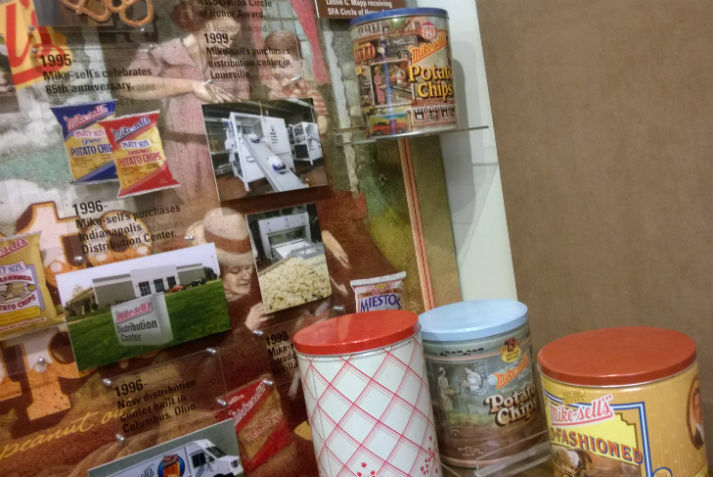 Check out these two new products for yourself and continue to support your hometown chip company Mikesell’s, who has been supporting Dayton and local causes for over 100 years. We bet you like the new flavors so much, you will ask Santa to bring you some…. Chef and Jax with Luke Mapp of Mikesells ! 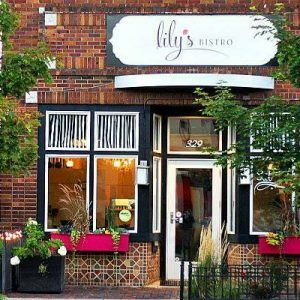 Are you a foodie with a fondness for local eateries? 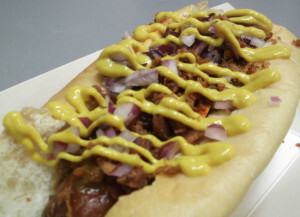 Then follow our blog called “Food Adventures” on Facebook for everything food related in Dayton. No rules, just food! We are not food critics. 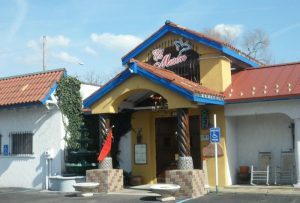 We are 3 people who are passionate about what the Miami Valley has to offer and we eat it up! Have you tried the Salted Caramel Puffcorn? new in 2016 too ! These new NACHO CHEESE TORTILLAS are great ! 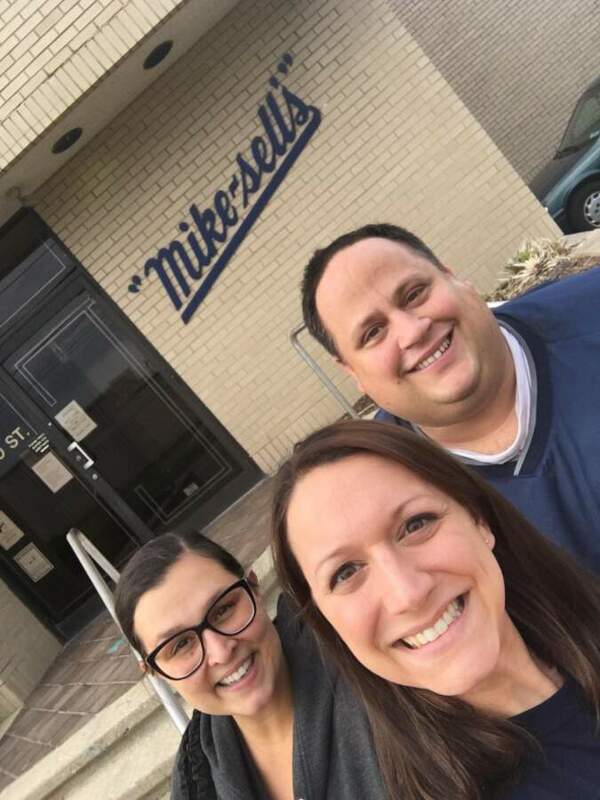 Food Adventures Crew at Mikesells ! 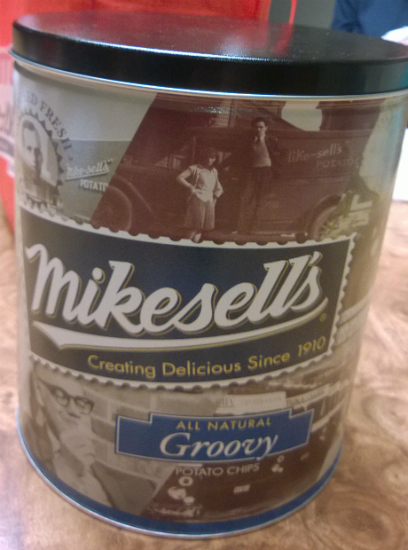 Mikesells: Tins and New Flavors? ! WIN CHIPS ! These tins will be in stores next week ! Mikesell’s Snack Food Company is bringing back the holiday tins for the first time in 15 years! 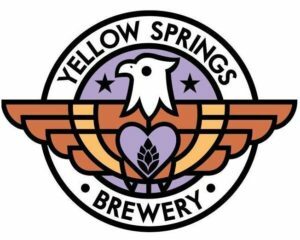 They are also going to introduce some new flavors in 2016 and we have the scoop. The Food Adventures Crew was lucky enough to sample the new flavors and we are so excited about the throwback tins, that we are giving away some free chips! Then comment below and we will award 3 winners the new tins that are coming to stores next week! 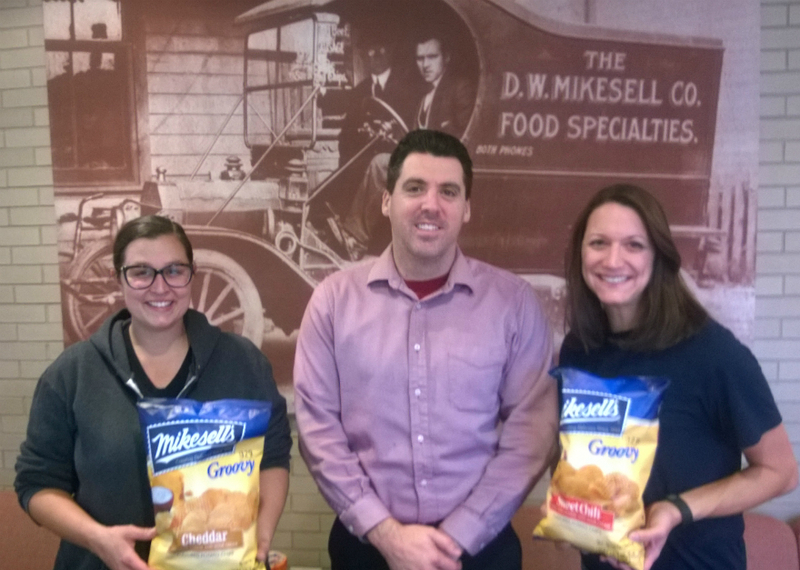 — Since 1910, Mikesells Potato Chips have been a part of Dayton life, and still remain family owned today by DW Mikesell’s descendants. — The tins were wildly popular in the 70’s and 80’s, with throwback designs, celebrating anniversaries such as the 75th and 80th years in business. — Next week, for the first time in 15 years, grocery stores will start carrying Commerative Tins of Mikesells chips, just in time for the holidays. The tins each contain 2 sealed bags of chips. Tins will be available for a limited time only. — You can also order the tins online by clicking HERE. Mikesells had been testing flavors at the Dragon’s games and at Unversity of Dayton. Food Adventures was lucky enough to get a private sampling of the candidates, some of which will go into production in 2016. Here are the flavors and our comments on them. — HOT ROASTED GARLIC and DILL: One of the favorites, look for this one to be a hit. Who doesn’t love garlic? — JALAPENO RANCH: A nice ranch dusting, not overpowering, with a slight kick at the end. Again, not too hot, just enough to take notice. Chef House, the spicy food queen of Dayton, had a smile after sampling these! This was one of Hungry Jax’s top picks too! — HONEY BUTTER: The flavor fad that has hit South Korea, may be coming to Dayton. This Honey Butter chip has a very subtle taste, almost muted. A very easy going chip, and would be perfect with dip. — SMOKED GOUDA: Probably a long shot, as it seems to have a pretty adult palate. May need some tweaking, but they are definitely on to something unique..
— KOREAN BBQ: Very eatable chip, and such a disctinctly unique flavor. We could see Daytonians eating the whole bag here… Hungry Jax voted this as her favorite and The Big Ragu rated this flavor near the top. — CREAMY WASABI: This one had more bounce to the ounce than expected. The little zing at the end is a perfect flavor finish. 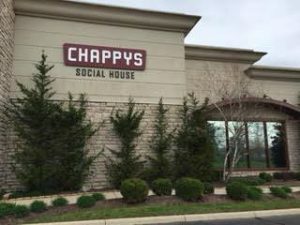 The chip was The Big Ragu’s favorite. WHAT FLAVORS WILL MAKE THE CUT? 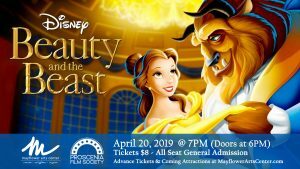 As Luke Mapp, ‎Director of Sales and Marketing explains, we wish we could offer them all, but the problem is limited display space. He said that in grocery stores and other outlets, when you introduce new flavors, it often means you have to yank one of the current flavors. All of it is due to limited shelve allowances. Luke knows his stuff. 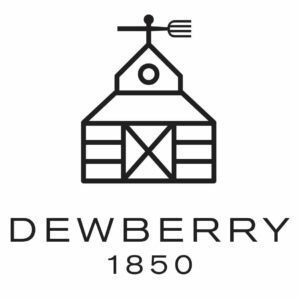 He is the great grandson of founder D.W. Mikesell and has had a lifelong involvement in the company. We want to send out a special thank you to Luke and his staff for being so accommodating on our taste test and facility tour. It was a fun and fascinating evening. 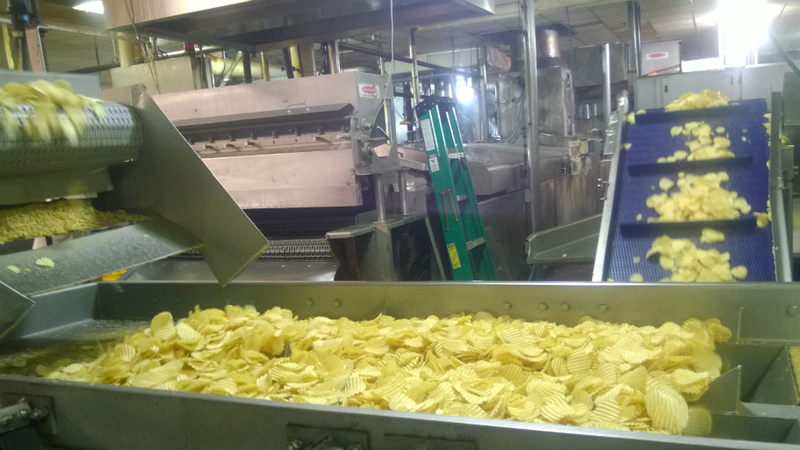 Behind the scenes at Mikesells, fresh out of the fryer ! 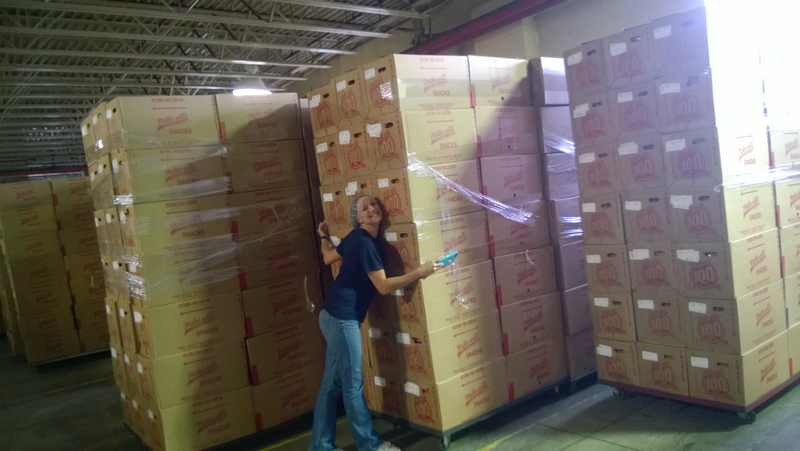 Dear chip lovers and fellow foodies, stay tuned over the next 12 months to see which flavors will make it into stores! But remember, you heard about them here first! One last comment, Mikesells is introducing another product in February that we were able to sample. Unfortunately, we were sworn to secrecy about its existence. 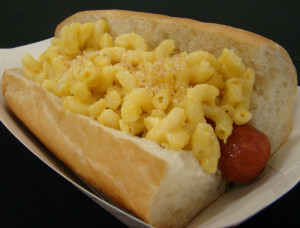 All we can tell you is that is was probably the best thing we tasted that day. Stay locked in to Mikesells and Food Adventures, and we will spill the beans as soon as it comes out in stores! 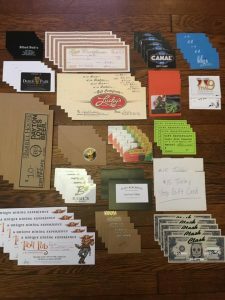 The comment section is after the photos…..
3 winners will be chosen at random on Thursday, November 19th. Want to stay a winner? Are you a foodie? Then join the almost 6,000 local fans of Food Adventures on Facebook by clicking HERE. Zee cheeps are magnifico ! 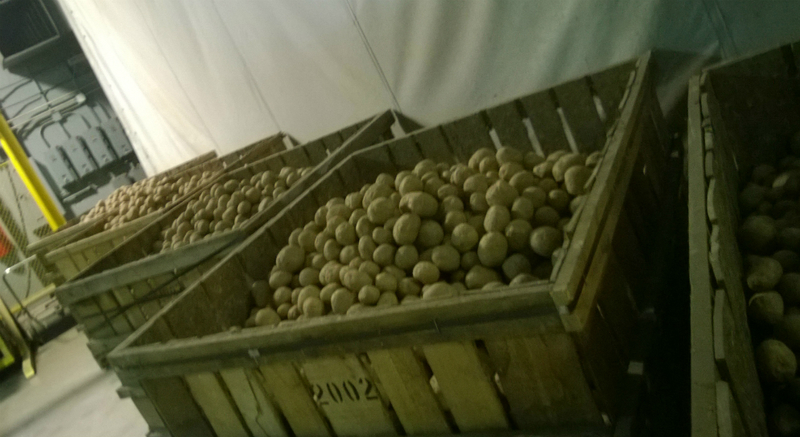 Potatoes for the product ! 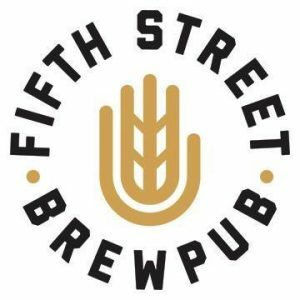 During Dayton Beer Week two of Dayton’s local, family owned and operated companies are teaming up to delight the Miami Valley’s taste buds. 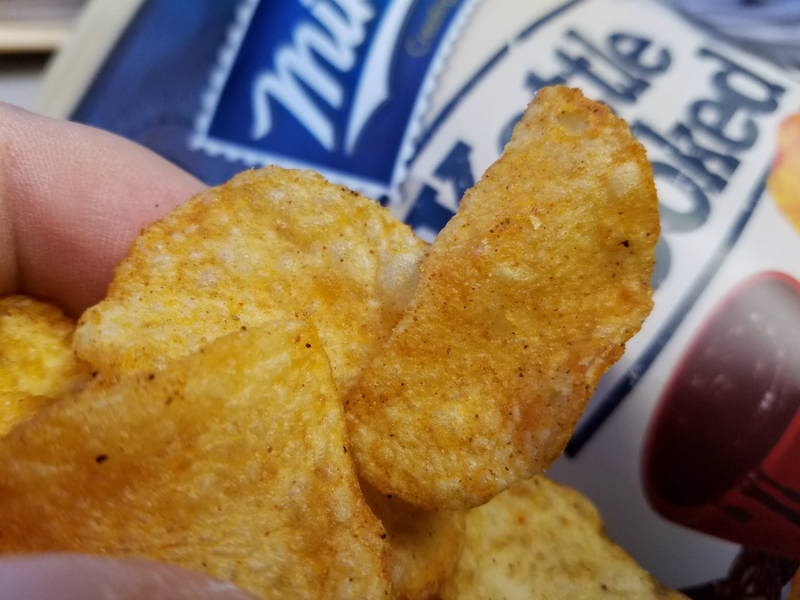 Mikesell’s, a staple of Dayton kitchens, barbecues and parties since 1910, is launching two new snack flavors: Beer Can Chicken Groovy Chips and Southwest Queso Cheese Curls. Dayton’s hometown potato chip has done it again. 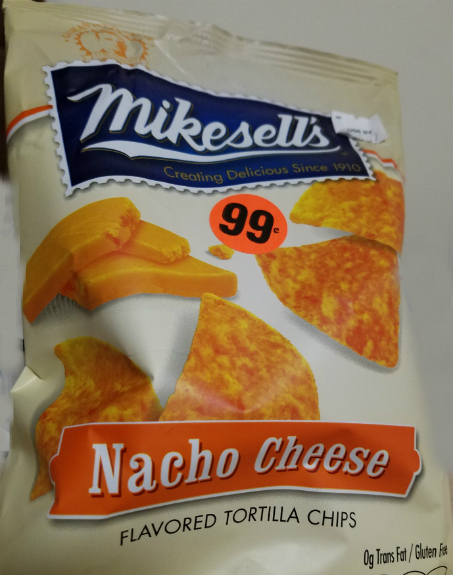 Mikesell’s has released two new, unique flavors in their line of snacks! And Daytonians are the beneficiaries of the great taste. 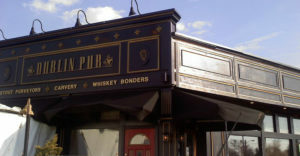 Looks like you Food Adventurers have a couple more MUST EATS on your list. We were lucky enough to sample a couple of bags before they are out in stores. Here are Food Adventure’s take on the new flavors. — BEER CAN CHICKEN FLAVORED POTATO CHIPS: We love the name and the idea is unique. The flavor is very muted and soft. Mikesells lovers will find not much variance of flavor from the regular groovy chips. The chips are almost a “Chicken Broth” flavor, so it is very subtle. Eatability factor is a 10 out of 10. We could munch on these all night and day. These are Mikesells for sure! This chip would great with some french onion dip. Mikesells two new flavors are definitely a tale of two contrasts. One flavor is fairly subtle, and the other is fairly bold. The one thing that they have in common is they are tasty and addicting. We will be munching these up all over town. Hope you grab a bag and try these Dayton Originals for yourself. They will be available in stores AUGUST 22nd ! 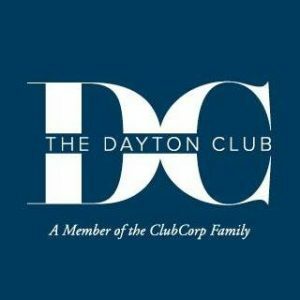 Want more Dayton Originals? 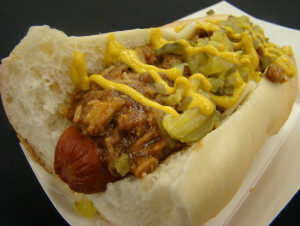 Then “like” the often imitated, never duplicated “Food Adventures” on Facebook by clicking HERE. Check out our photos below of the new products from Mikesells ! 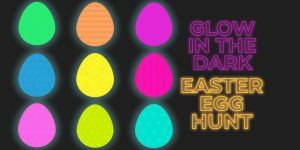 Here is something you wont see anywhere else .. YET.. 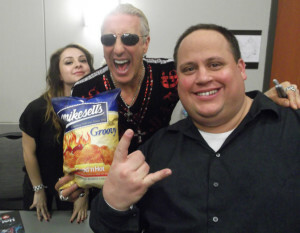 The Food Adventures Crew love Mikesell’s Potato Chips, and we love Cincinnati chili. 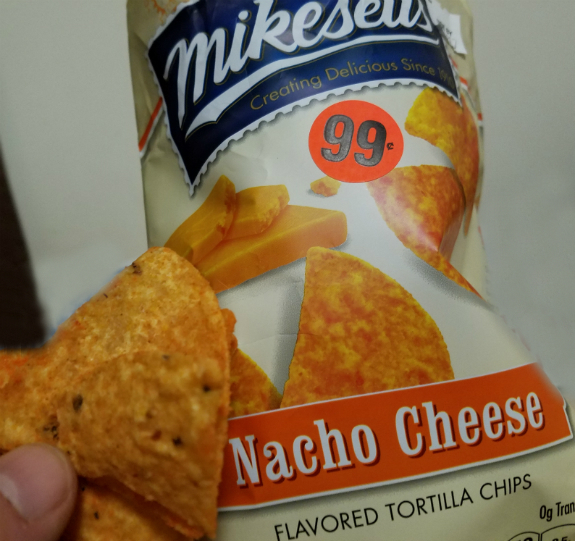 What an incredible idea the people at Mikesell’s had to combine to two ! We first tried the proto-type chip last summer, with the founder of Mikesells, D.W. Mikesell’s, great-grandson Luke Mapp. We have been sworn to secrecy about the flavor until now …. Verdict ??? The chips are delicious. So what makes them a MUST EAT ?? — The spices have captured the chili taste to a tee, even the hints of chili powder and Greek spices. Actually, you can see these chips somewhere else… We ran into bags of them at Speedway, and lets just say “we boosted our Speedy Rewards points.” Terrific stuff from your hometown potato chip company. We highly suggest you grab some of these and share them with your friends… or be selfish, we don’t care. Want a Food Adventure in a bag? 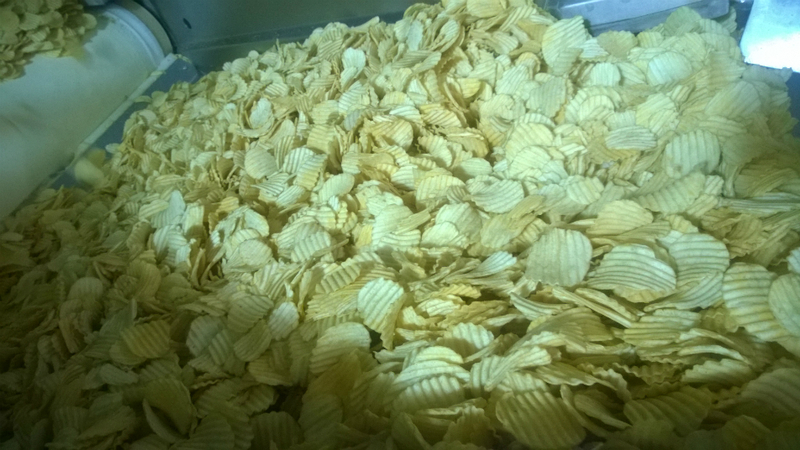 Then make sure you get the new Cincinnati Chili Style Potato Chips from Mikesells!! Want more Food Adventures?? 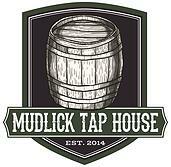 Check out their spicy Facebook Page and”like” them HERE ! 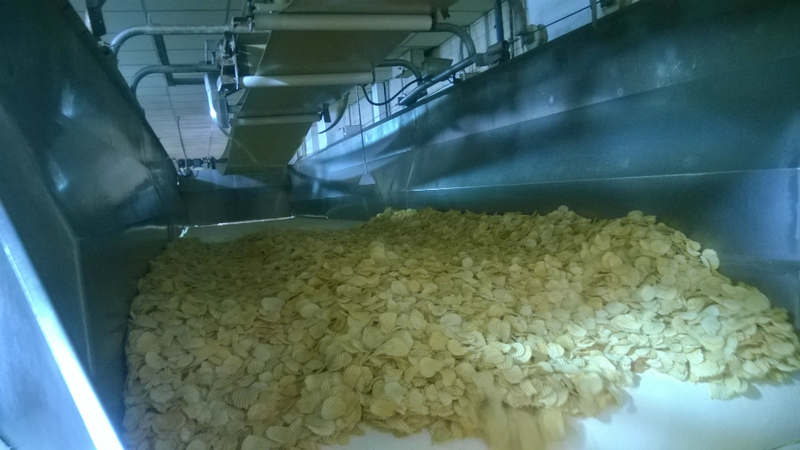 Want more on Mikesell’s Potato Chips? 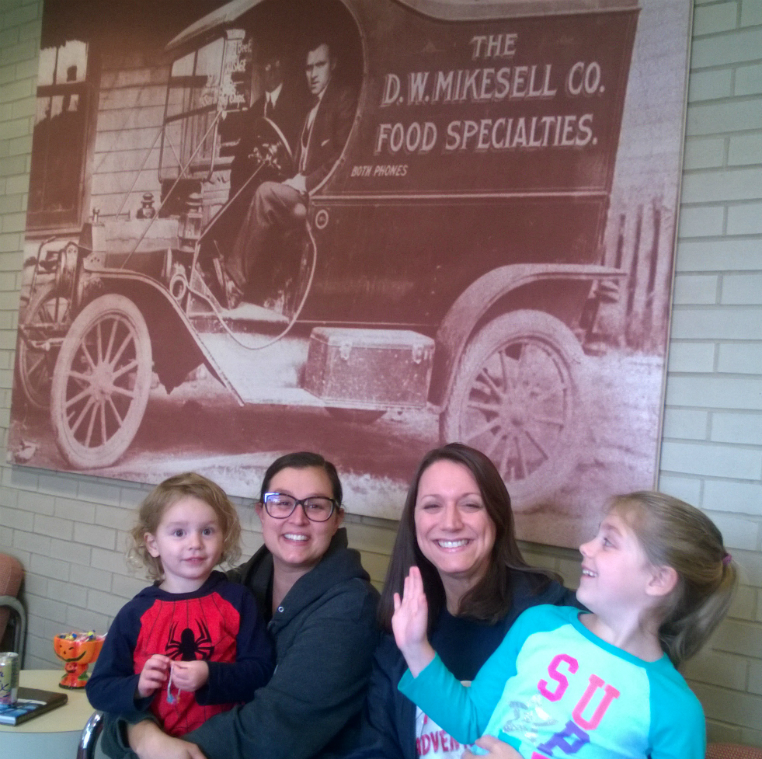 Check out our FOOD ADVENTURE at the Mikesell’s Plant HERE ! Usually when someone says “loose meat” it has never been a compliment, until now. On the outskirts of the Miami Valley, in the town of Greenville, a legendary burger joint has existed since 1934. It is called Maid-Rite Sandwich Shoppe. Over the years it has developed a cult following. People drive miles, and even come from out of state to taste their ‘burgers.’ They aren’t even burgers, they are “loose meat sandwiches” or “Maid Rites.” Why are so many people coming to eat these sandwiches and why are they so good ?? The Big Ragu and Crew set out to solve the mystery. 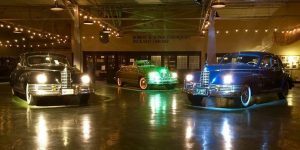 We have a had a handful of Food Adventures to Maid Rite either after the Darke County fair, or on a whim, or to satisfy an insatiable craving. Over the years we realized that there are 2 types of people, those that have never tried Maid Rite Hamburgers, and those who have tried it and cant figure out how they make them. — The main attraction is the maid rite loose meat sandwich. The sweet taste of the meat has developed three major theories of how they are prepared 1) Some think they are steamed in pepsi or coke 2) Some claim they are steamed in beer 3) Others say that sugar is added to the meat before cooking. 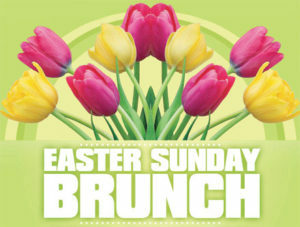 — Limited menu with 4 sandwich choices which include loose meat, chicken salad, egg salad or ham salad sandwiches. Shakes, sundaes, beer, soft drinks and chips are available too. — The employees are very protective of the recipe and process of the sandwiches. We were unable to get the secret recipe after badgering the employees and managers. We were threatened with spatulas and told we would be picking shards of Little Kings bottles out of our rumps for a week. Sorry for the letdown, folks. — For some unknown reason, it is now customary to stick your gum on the outside of the building. Literally thousands of wads of chewed gum have been stuck on every outside wall of the establishment. — Bathrooms are located in a separate building around back, adding even more uniqueness and oddness to this place. They also have a drive up window for a quick meat fix. How do they make the meat so sweet ??? — THE CHEESE RITE SANDWICH: This is the classic maid rite sandwich with cheese. What is a Maid-Rite Sandwich? 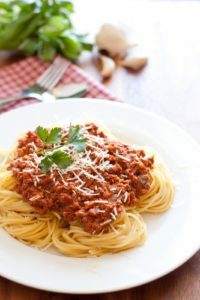 Think of it as a sloppy joe but with no sauce. It is served on a soft bun, slapped with meat and toppings, and wrapped tightly in wax paper. The meat has a sweet taste to it. This sandwich is topped with a squirt of mustard, a couple of pickle slices and a slice of cheese. They run about $1.95 and the average person could eat 2 or 3 of them. You can get the Big Jim version which adds ham, but we prefer the original Cheese-Rite. Eating one is a unique experience, and you have to try it. Warning: once you unwrap one, we hold no responsibility for future addiction. — CHOCOLATE MALT: Creamy, sinful and made just for you. You cant go wrong with this delicious, cool classic. 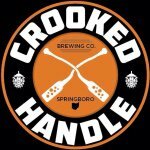 — LITTLE KINGS CREAM ALE BOTTLES: Oh come on , you gotta make it a full blown Food Adventure and wash it down with a icon from Schoenling Brewery. Ok, wanna be a snob? Then grab a Heineken instead. 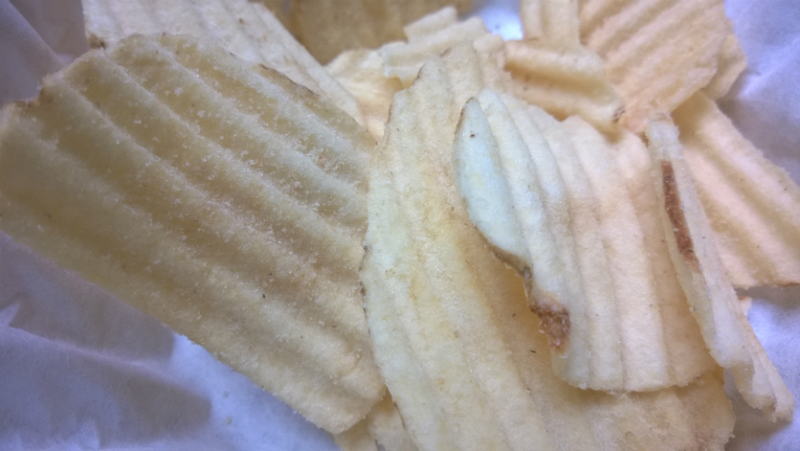 — MIKESELLS POTATO CHIPS: No fries in this establishment, so choose your hometown chip instead. They have a nice selection of Dayton’s favorite potato chip. It is a good pairing with the simple, classic sandwich. 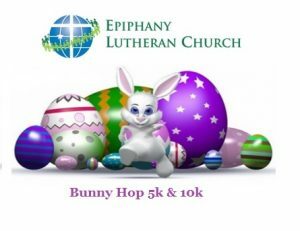 A couple of sidenotes: Make sure you bring cash, because that is the only form of payment they accept. 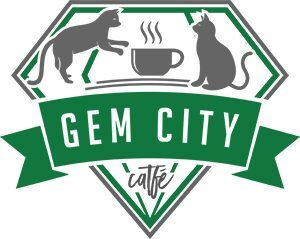 Also, hours are 10am-10pm except Fri and Sat when they stay open until 11pm. Amazing isn’t it? A formula for success being a squished, sloppy joe like sandwich served in a small diner with people sticking gum to the walls outside. But people come back every day in droves. WHY?? It is the curiously sweet tasting, delicious loose meat sandwiches. 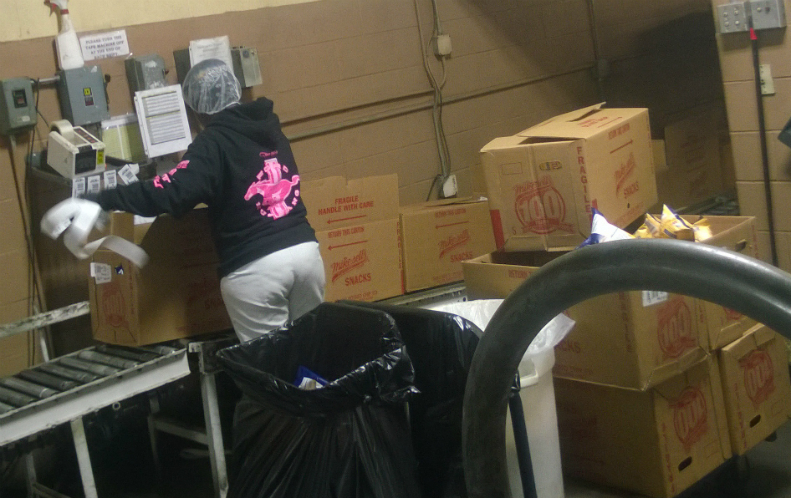 The workers feverishly tossing the ground meat, stuffing buns, wrapping it quickly, and tossing across the counter. It is the personality of the place. If you have never visited this spot, make sure you put it on your “Food Adventure hit list.” Maid Rite is one-of-a kind. 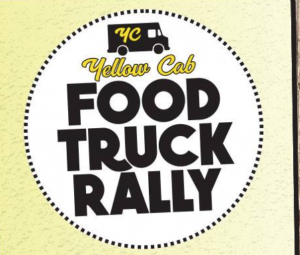 Want more One-of-a-Kind foodie fun? Then “like” FOOD ADVENTURES on FACEBOOK BY CLICKING HERE !